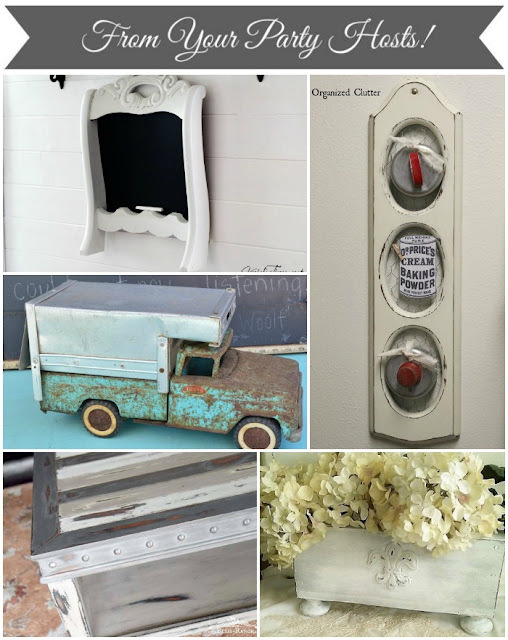 Now let's take a look at some Repurposed or Upcycled Project Features from last week's party, selected by Betsy @ My Salvaged Treasures. 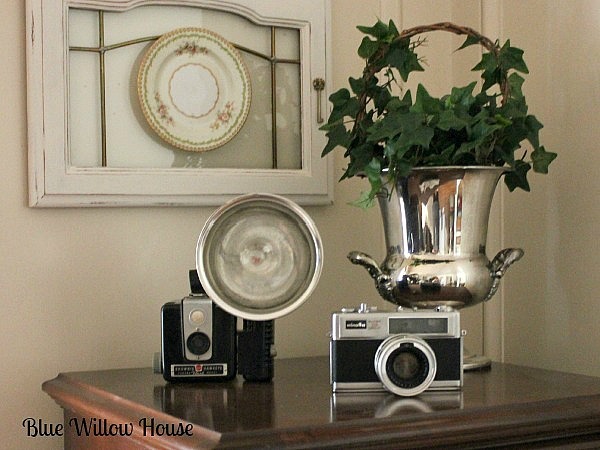 Blue Willow House created this pretty vignette with vintage cameras and a silver champagne bucket. 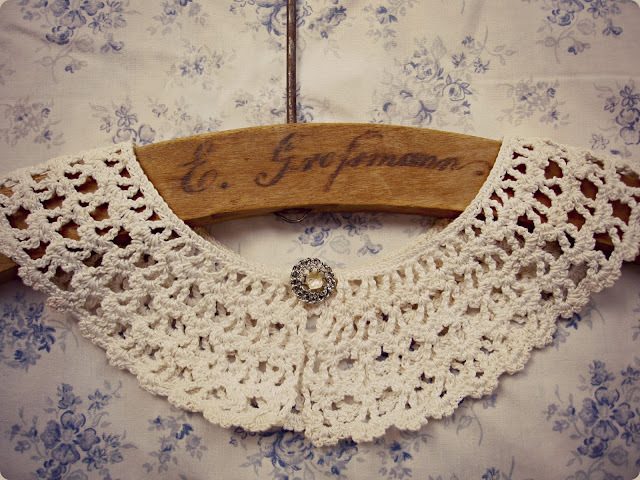 Handmade by Amalia shared her grandmother's collars displayed on an old wooden hanger. See how Dreams Factory turned some plain Ikea enamel pitchers into these pretty French inspired vases. 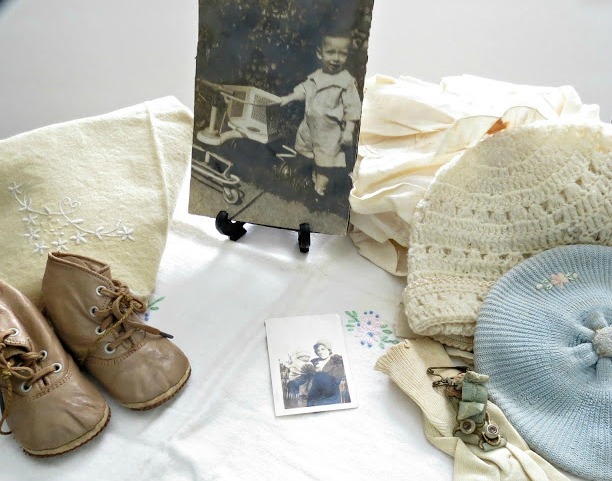 A La Carte shared some of her Dad's precious childhood treasures. 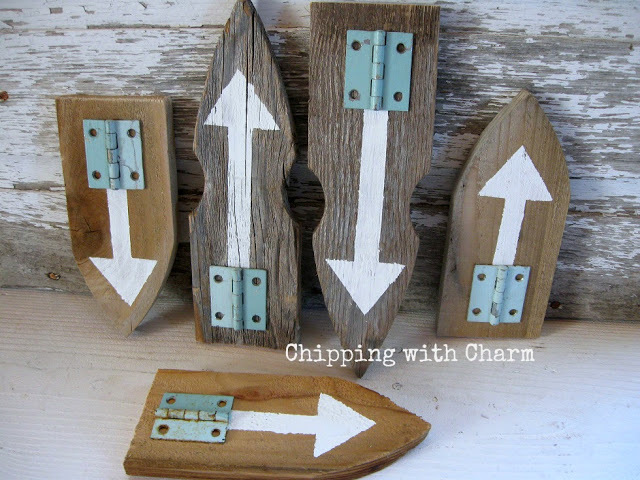 Chipping with Charm turned old picket fence boards into these cute and clever arrows. 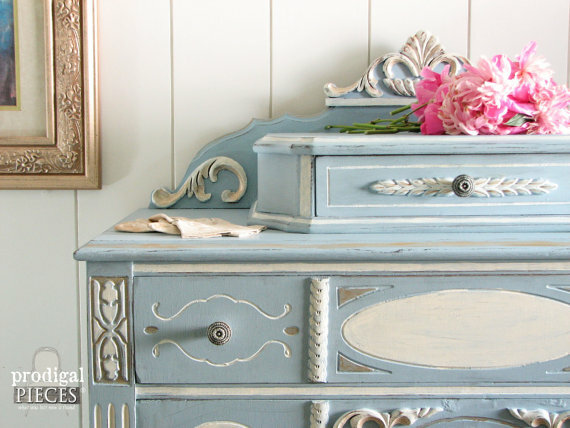 Orphans With MakeUp brought a dark old cabinet back to life with a beautiful paint job. 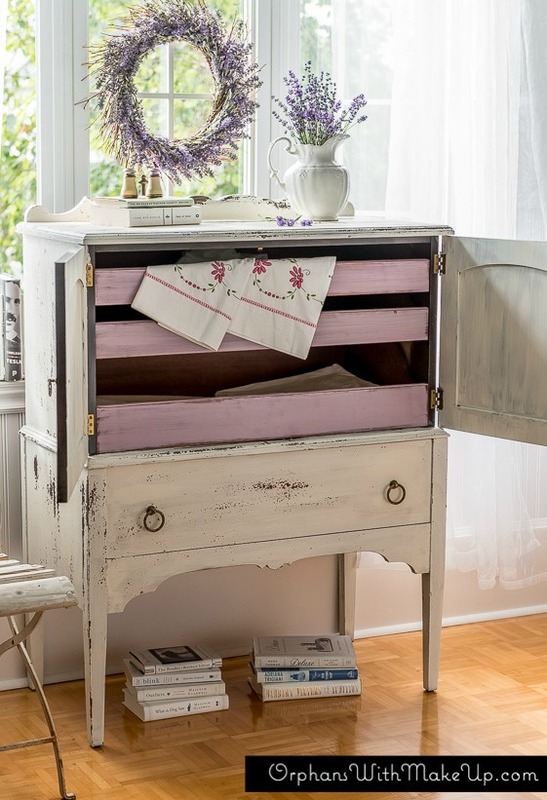 The featured shop item this week is this gorgeous dresser from Prodigal Pieces. 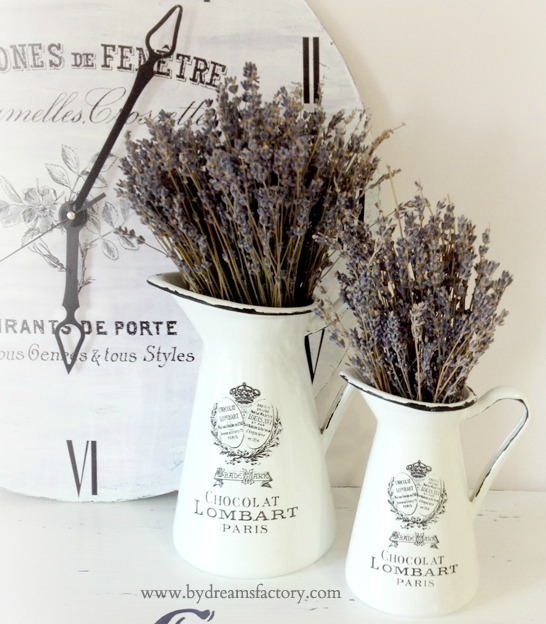 This week's featured blog is Cloches and Lavender. 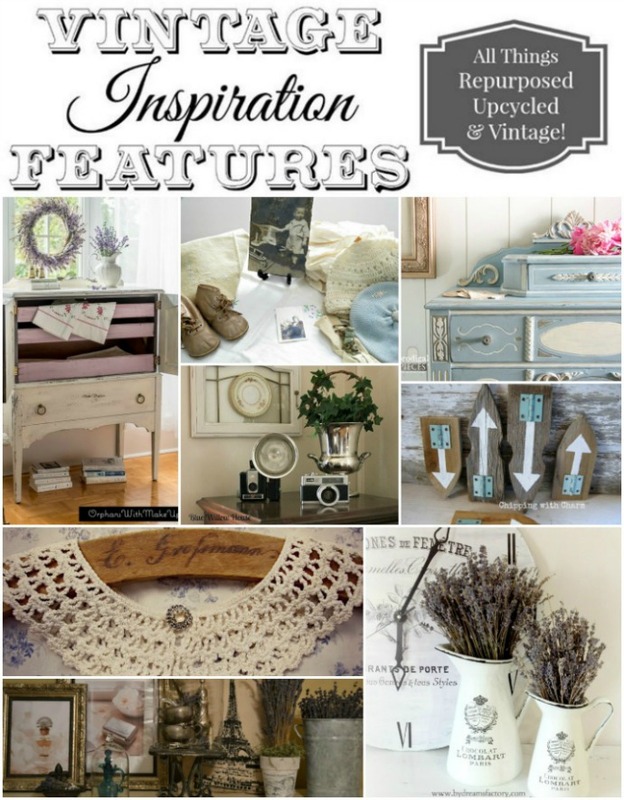 – You are welcome to share anything vintage or vintage inspired. This includes yard sale finds, repurposed and upcycled creations, family heirlooms, and vintage/vintage inspired Etsy & Ebay items you have for sale! If it’s been around awhile or just looks that way…share away!! No food links or general crafts please. – Be sure to have a visible link to Organized Clutter within your post (text link is fine). – By linking up with the Vintage Inspiration Party, you agree that your photos and links may be shared on Pinterest, Facebook, Instagram, and other social media sites. You may be included in a round up to promote the party or individually with a link back to you. We love what you share and the extra exposure is a benefit to everyone. Carlene, thanks for hosting. My Mad Tea Party has vintage Alice in Wonderland books, so hope it's OK to join your party. Thanks Carlene and Friends for Vintage Inpsiration 197. Love joining in. What great features. Oh my such vintage goodness. But you are the queen.